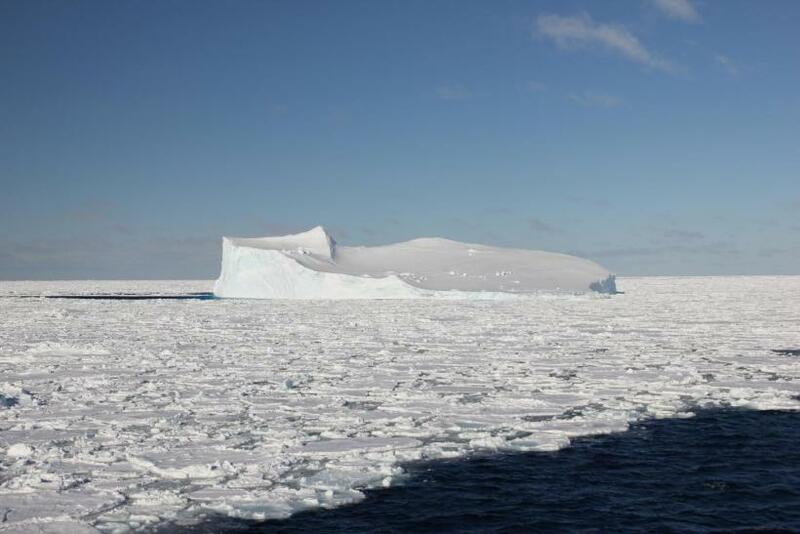 A new study from researchers in Australia has found Antarctica’s sea ice to contain toxic levels of a potent neurotoxin called methylmercury. The team from University of Melbourne, led by Caitlin Gionfriddo and John Moreau, published their findings in the journal Nature Microbiology. The researchers collected samples of the Antarctic sea ice while on a two-month expedition to better understand how methylmercury enters the marine environment and the food humans ingest. The ice from icebreaker Aurora Australis was tested for mercury, and DNA and proteins from sea ice microorganisms were analyzed. The researchers found that sea ice contains bacteria that has the “genetic ability” to convert mercury, a heavy metal pollutant, into a more toxic form: methylmercury. "These results are the first to identify a particular genus of bacteria, Nitrospina, as capable of producing methylmercury in Antarctic ice," said Moreau, a geomicrobiologist at the University of Melbourne School of Earth Sciences, in a statement. Methylmercury poses several threats, as it can contaminate the marine environment and, if exposed to humans, it can result in developmental and physical problems in children, infants and fetuses. It all starts with mercury—the pollutant gets released into the environment through various means from natural events like volcanic eruptions and bushfires to man-made activity like burning fossil fuels and gold smelting. According to Moreau, mercury has a long lifecycle in the atmosphere and can travel long distances. After it deposits itself into sea ice, and comes into contact with mercury-methylating bacteria, the pollutant gives birth to methylmercury, which then enters the food cycle via a process called biomagnification where toxins accumulate through the food cycle. "Larger fish eat smaller contaminated fish, and continuously accumulate methylmercury at harmful levels for human consumption," said Gionfriddo. The findings of the study spotlight the importance ending mercury pollution from the environment is crucial. "We need to understand more about marine mercury pollution," said Moreau. "Particularly in a warming climate and when depleted fish stocks means more seafood companies are looking south."